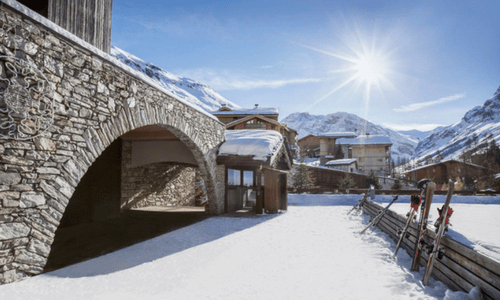 Designed by François Champsaur to provide an original mountain experience, Club Med Val D’Isere is constructed with facades made from wood and stone, stands tall at 1850m and is truly beautiful. 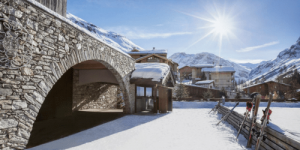 The rooms are spacious and comfortable, but if you’re looking for extraordinary accommodation, you might want to explore the possibility of staying at Le Refuge; an exclusive 5 Trident luxury place contained within. Feel privileged and enjoy enhanced privacy, without having to forgo the sociable, welcoming atmosphere of the wider Club Med resort. Skiing conditions here are enviable. 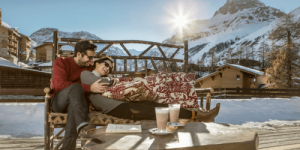 There’s lots to delight novices, as well as more seasoned skiers and at the end of your day, you’ll enjoy freshly prepared Savoyard delicacies in the fresh mountain air. With this backdrop, food never tasted so good! The Main Bar can be found right in the heart of the resort. Between its colourful walls you can discuss your ski class progress or your ski slope prowess with a hot chocolate in the middle of the day, or a cocktail a little later. Snacks are also served here. There’s a friendly, relaxed atmosphere. It’s a great place to meet people. The Bellevarde is ideal for family dining or enjoying a meal with friends. There are large tables to accommodate many diners and a huge choice of international dishes. The food is creative, innovative and ultimately delicious. Make the most of your incredible views here too. At such a high altitude, you can see for miles. 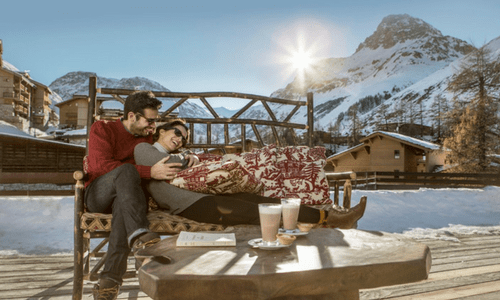 If you’re looking for a cosier, more intimate atmosphere, perhaps even with a more romantic vibe, you might want to head over to The Chalet du Charvet. 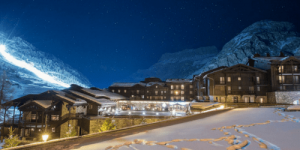 Waiter service is provided here and the menu promises elegant ski favourites, such as fondue and pierrade. Club and family deluxe rooms are available, with the extra option of a 5-Trident luxury space suite. The latter is elegant with a roomy balcony , separate parent and child bathrooms, as well as a large dressing room. 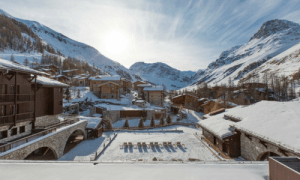 The Val D’Isere ski area is one of the greatest in the world. 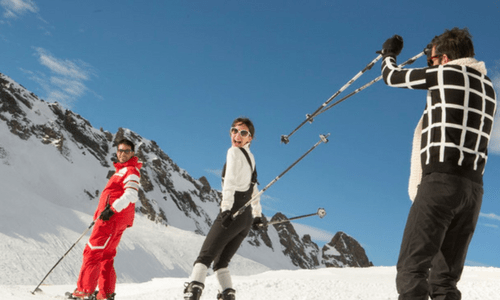 Famous names have tested the slopes here and there’s plenty to get stuck into whether you’ve reached a beginner, intermediate or advanced level. Club Med instructors will be on hand to offer practical guidance and advice in order to help bring you on to the next level. Snowboarding is also very popular here. Back at the resort, you can build up your strength in the cardio and weights room, take a dip in the pool, or simply slide into the hot tub on the terrace. To help you relax further, why not book a spa treatment in the wellness centre. 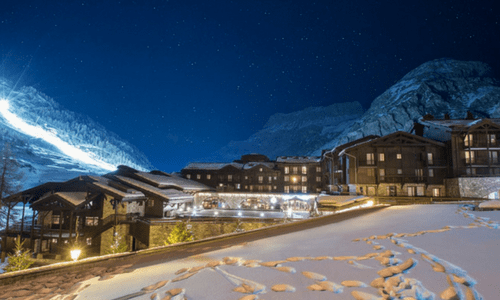 Savoyard cuisine is available at the resort and in the nearby villages. Nearby typical Alpine architecture and churches are must-see sights. 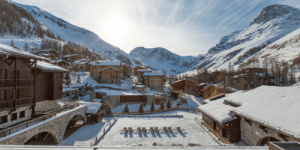 Club Med Val D’Isere is located in the picturesque Savoy region of France, just 6km from Tignes and 90km from Albertville, where the Winter Olympics of 1992 took place. 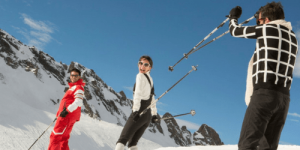 Please give the Aspen Travel team a call to book your ski holiday of a lifetime. We’ve been a trusted Club Med booking associate for many years and work closely with this leading brand.